Okay, this is about as politically incorrect as it can get.... No, it can get worse. Morning radio guy Frosty Forst with the The Hi-Fives. I first heard this on the Shaw Cable 4 t.v. show Rockinitis. Harry Walker just laughed and had no idea what Frosty was going on about when host Michael Willmore asked him to explain the song. Mention of Model T racing (actually reviving an old Don Radbruch thread, from here) reminded me that I had managed to copy these items off the net. 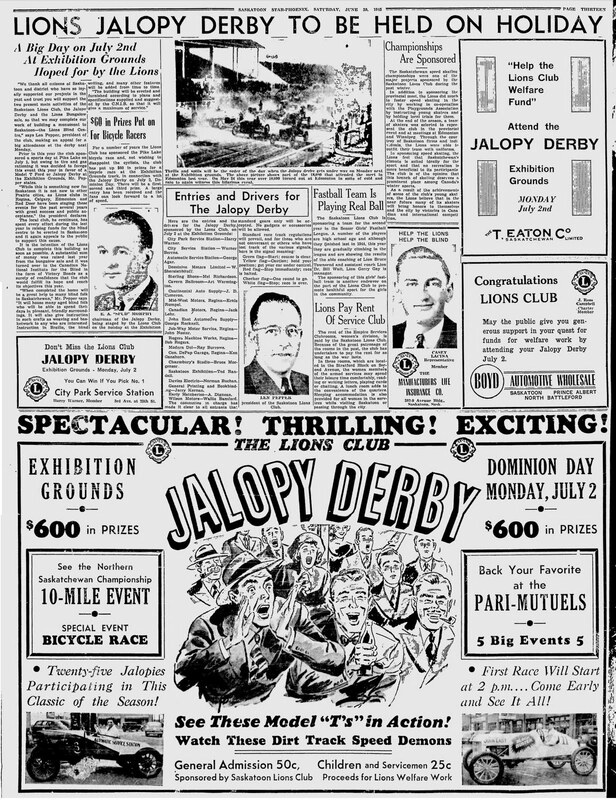 A Dominion Day Model T race at Saskatoon. 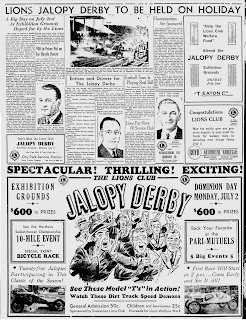 Like Alberta, the Saskatchewan races began during the Second World War. This is coming to a conclusion. 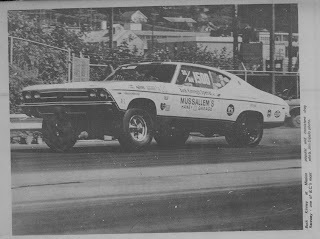 The race at least. Not sure about the whodunit part. Alan Vega (great car name) was on the weird edge of punk. 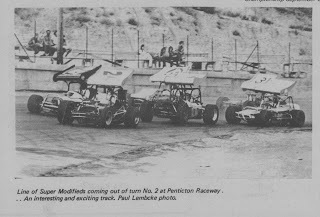 This is from around 1980. Not for everyone. 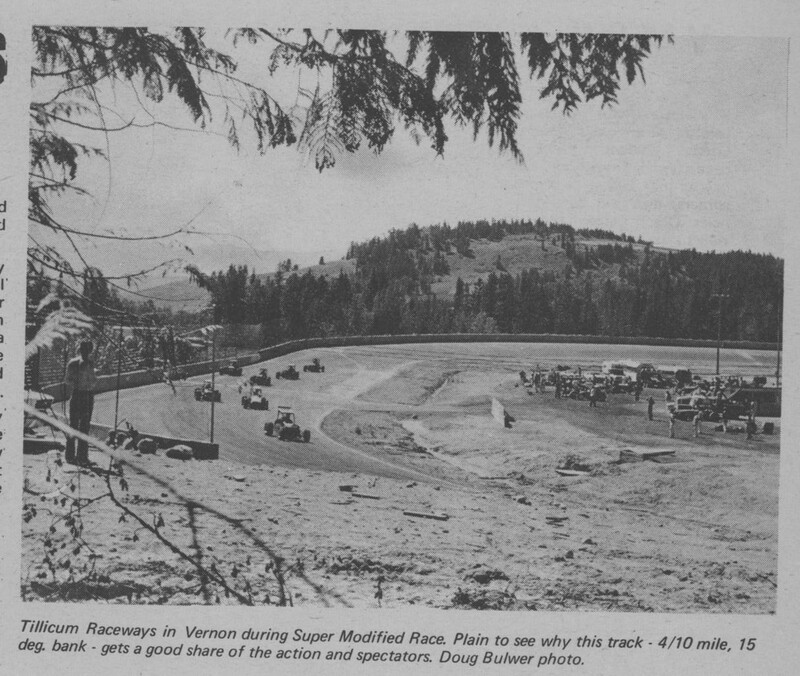 Here's a link to a map of "lost" race tracks in the Los Angeles area. A couple books on that subject were put out by a guy from LA, part of a scholastic dissertation. I know there are a lot of them, as well, in the Great Vancouver area. And, because I'm such a lazy sod, the book on that hasn't come out yet. 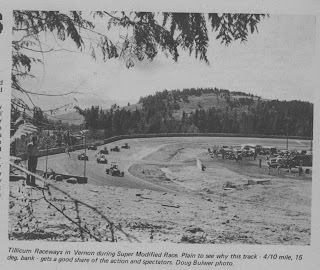 Northwest Stock Car Racing featuring stock car from the late 1960s and early 1970s from the Evergreen, Spanaway, Portland Speedway tracks. 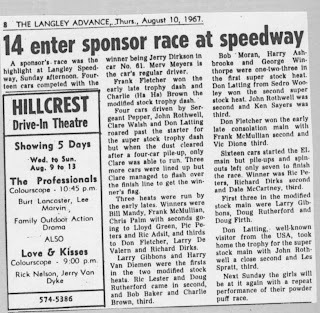 Guys like Hershel McGriff and Roy Smith along with others I don't recognize, but probably should. 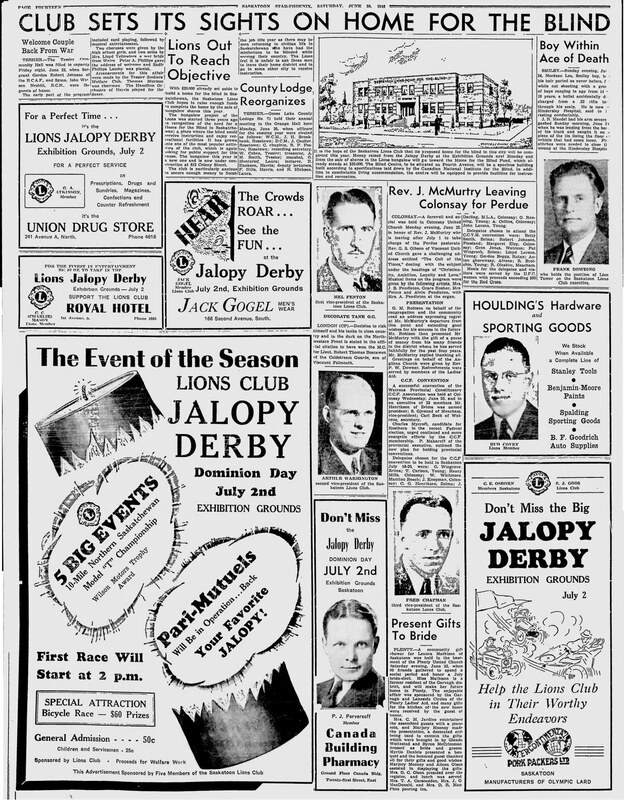 Bill Haley and The Comets played the Kerrisdale arena June 27, 1956. 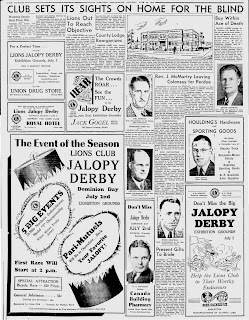 Reviving an old series, a detailed look at the history of Langley Speedway. Mostly being results. 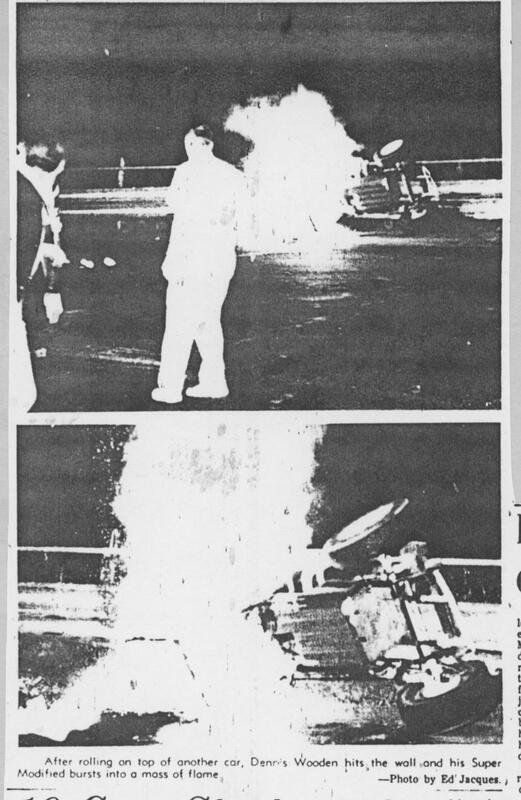 Dennis Wooden, in his A modified, crashed and caught fire lap five of his heat race. Later reports said the hero of the moment, pulling Dennis from the car, was fellow racer Cal Arnold. 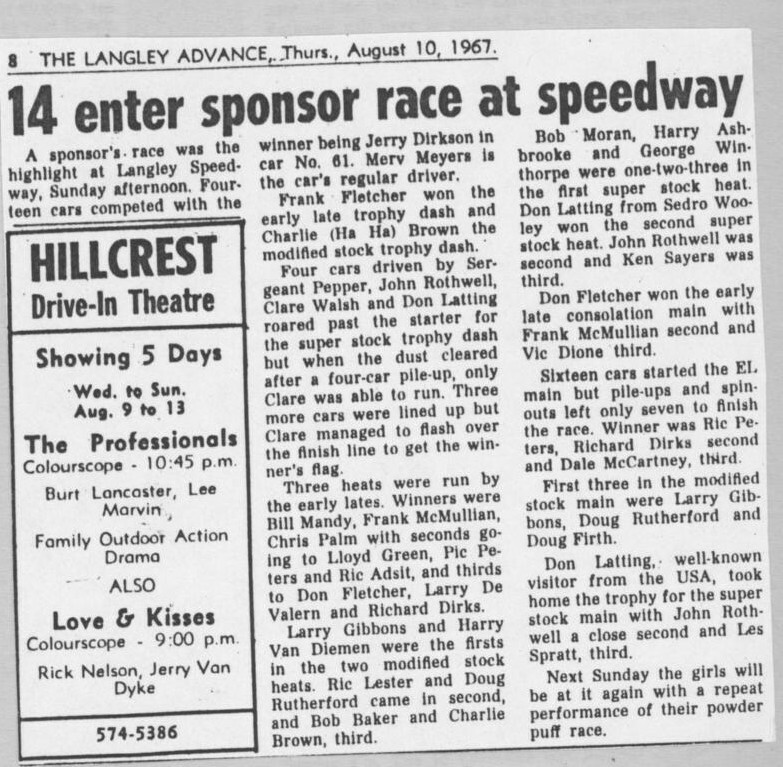 A flyer for one of a few CMA races held at Chilliwack airport. Not sure of the years and results are not easily found. At least not online. I might have them buried here in my archives. But I'm not looking too hard for them at the moment. Other things to clean up first. 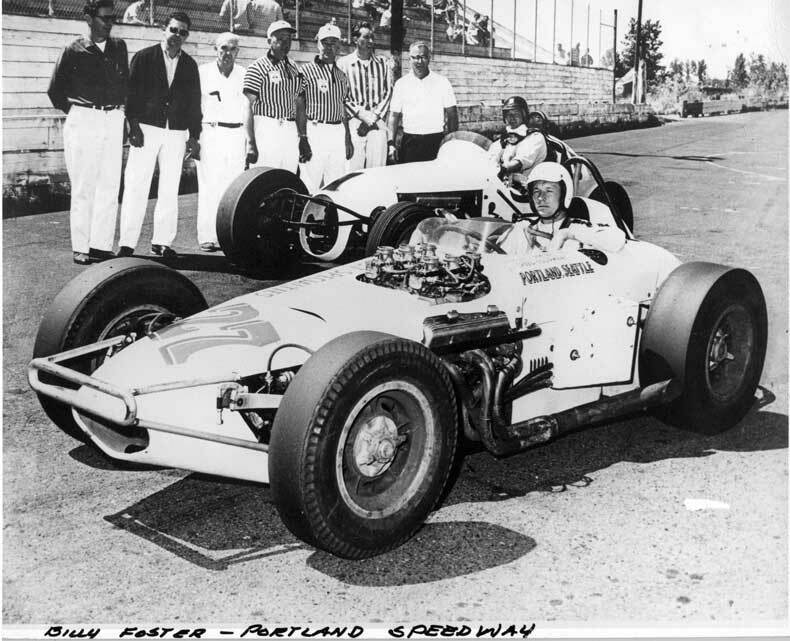 Billy Foster in what looks to be a modified without the roll cage. 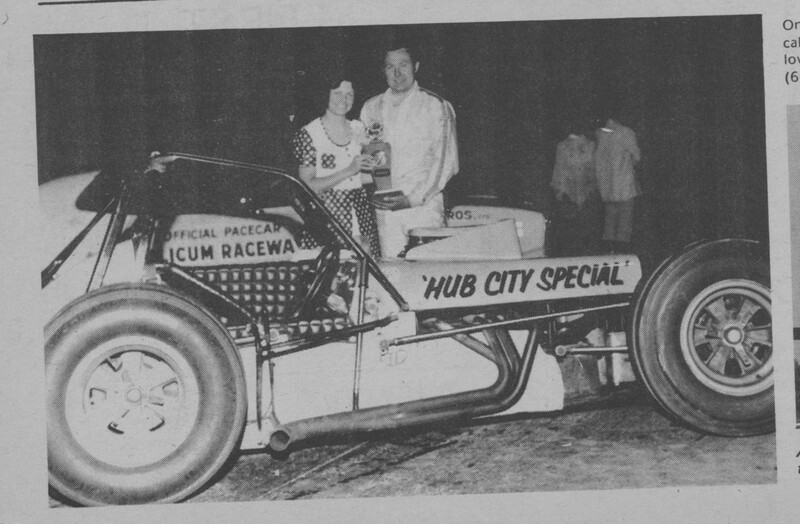 They were made to be converted back then so they could run as a super modified or a sprint car. 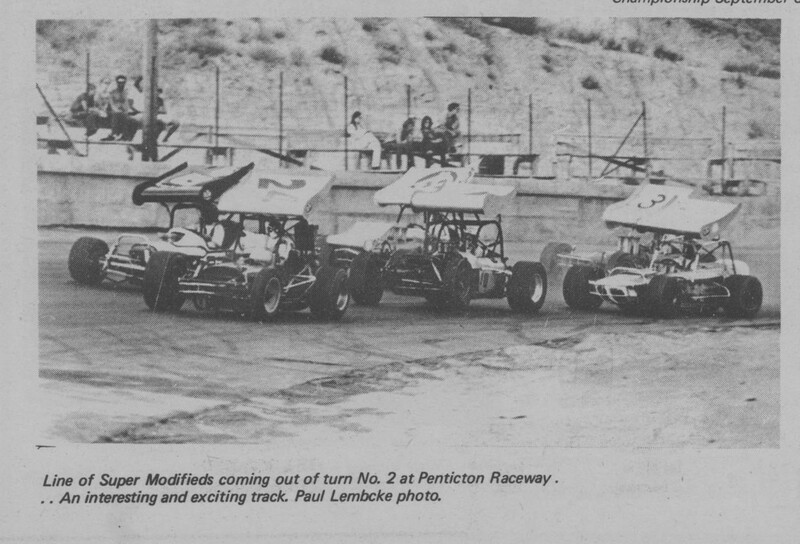 This would no doubt be a sprint car race. From a previous post I see "Bill" Foster scored points in the sprint car season of 1962. 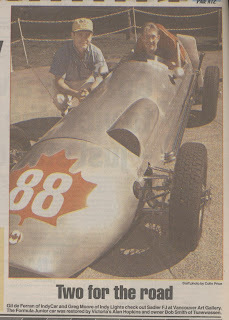 The photo comes from the online Golden Wheels archive. 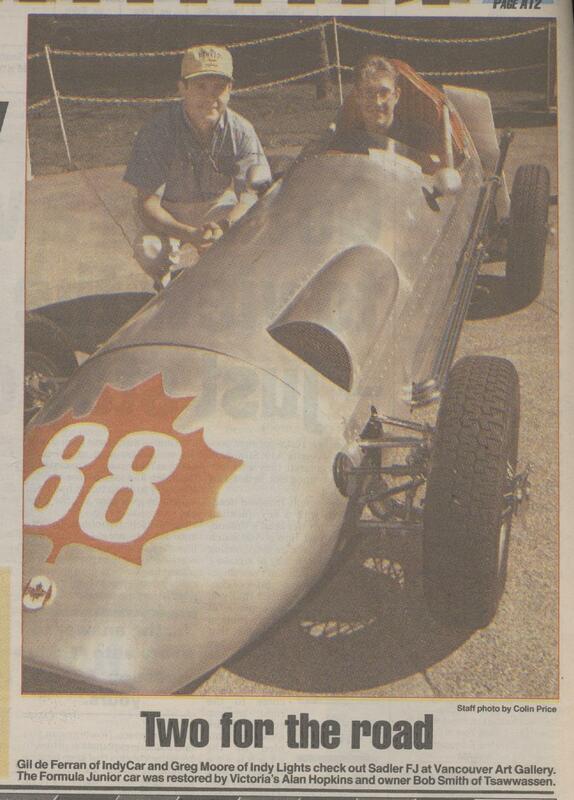 From around 1996, leading up to the Molson Indy at Vancouver. Greg Moore photographed in a restored Bill Sadler Formula Jr. Bill, of course, was up at Mission for the Historics recently. 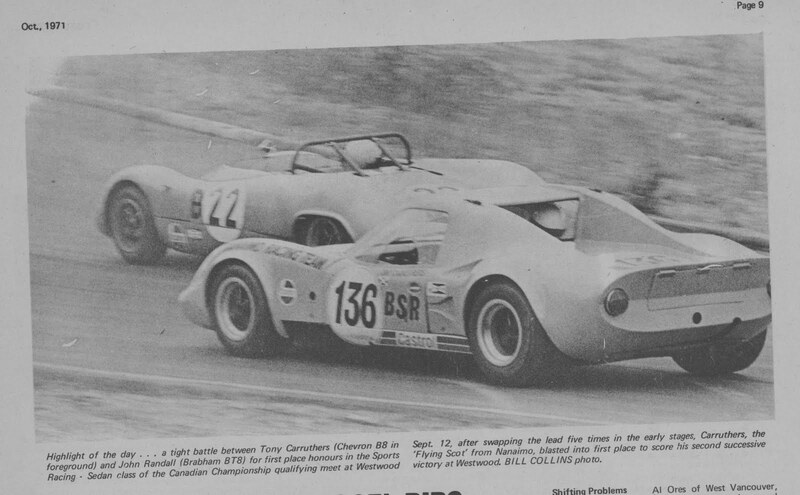 Interesting look at Canadian Mike Duff racing in Europe in the mid-1960s. Not sure if it can be embedded. 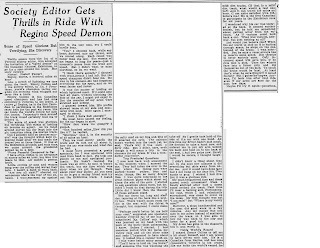 Madge Whitehead, one of the originals, is interviewed. 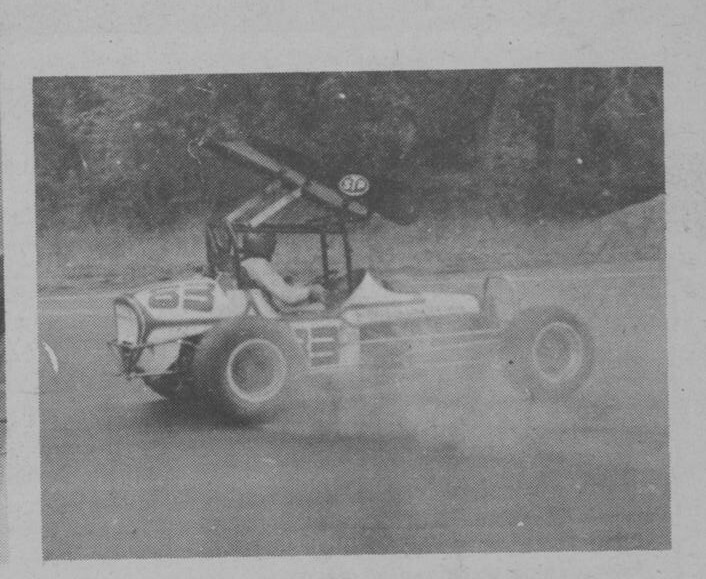 Piston Post, at least the October 1971 issue, covered more than oval super modifieds. 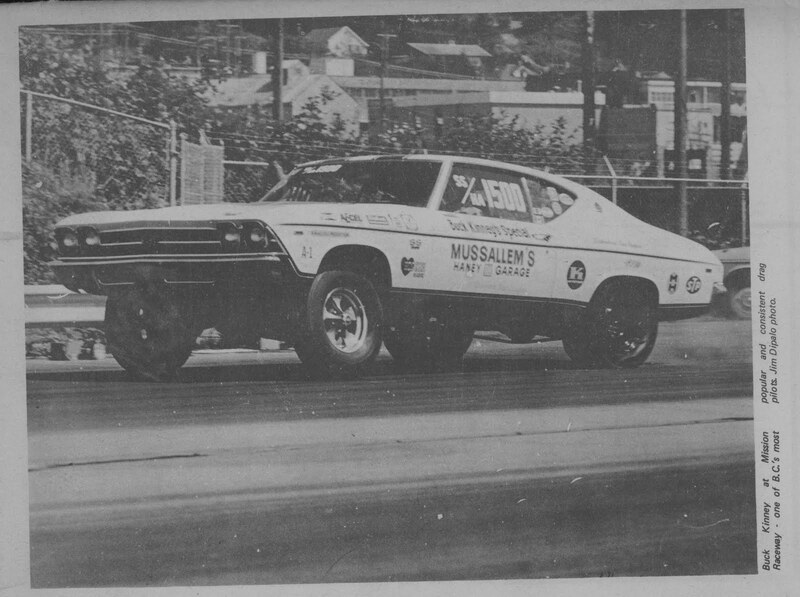 Tony Carruthers chasing down John Randall and the legendary drag racer Buck Kinney. Photographers like to get the action shot. 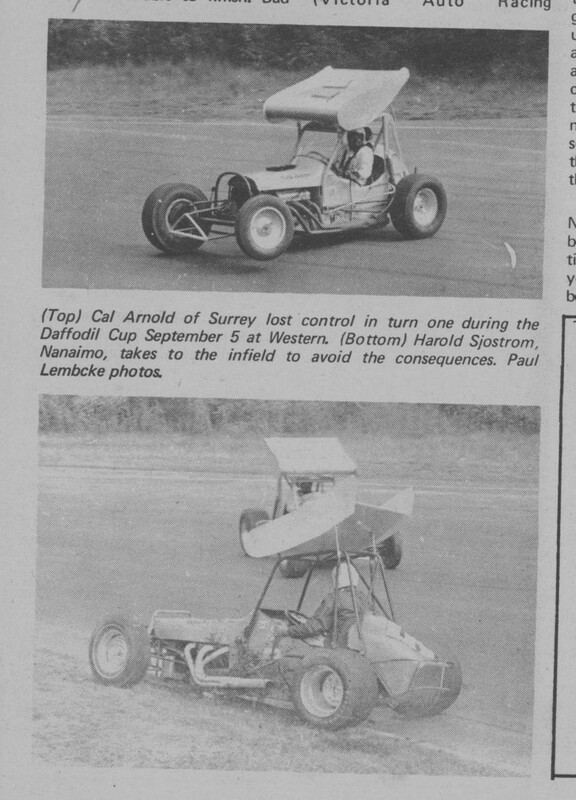 Top photo is Jack Cross at Western Speedway, also during the Daffodil Cup, as are the lower photos. My first interest is always going to be oval racing, super modifieds especially. Bill Madson, from Salt Lake City, and Alvin Haggith, from Nanaimo, made it to Tillicum Speedway. 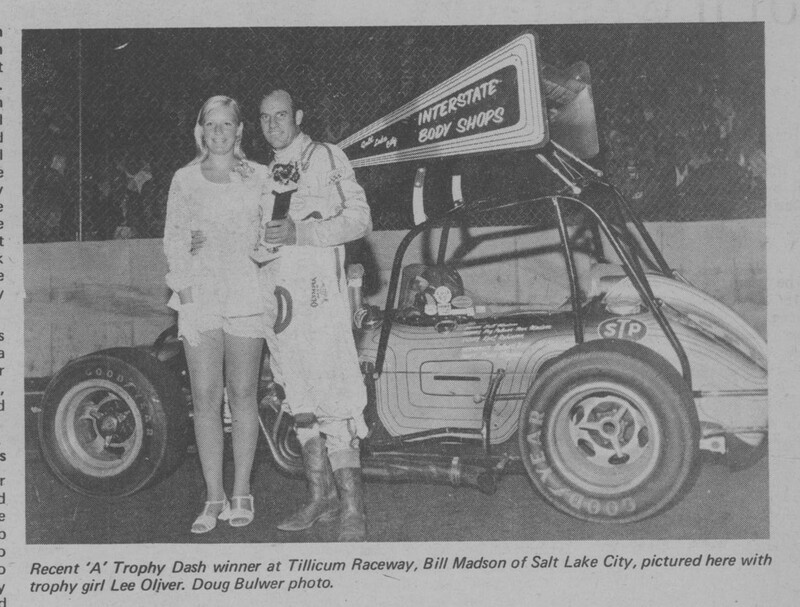 I'll spend a few days putting up some photos from this short lived newspaper. Wish I had all of them. 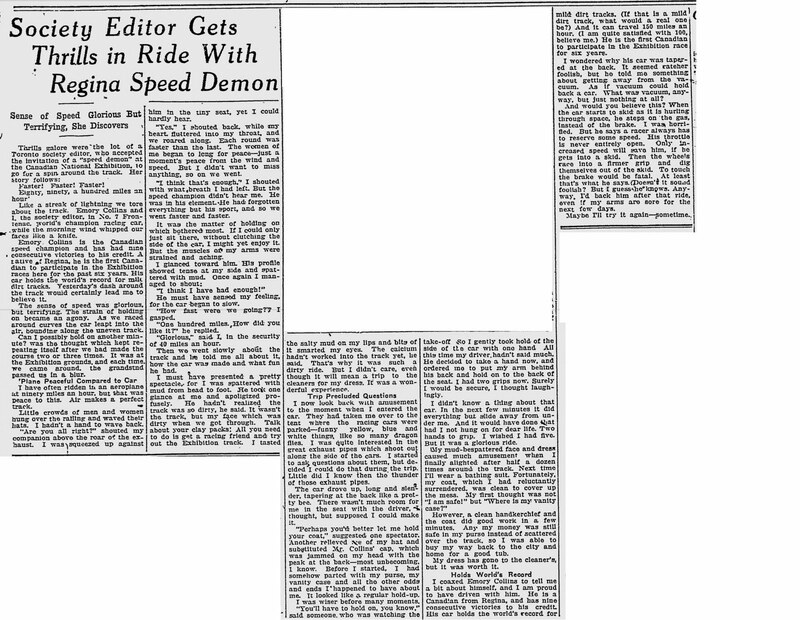 Then, again, there are a few other papers from the past I'd love to get my hands on as well. 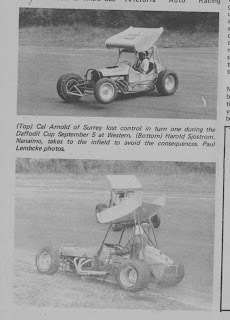 While this paper came out of Victoria it covered B.C., as can be found in these photos from Vernon's Tillicum Speedway and Penticton Speedway. Yeah, well. I'm on a George Harrison jag. 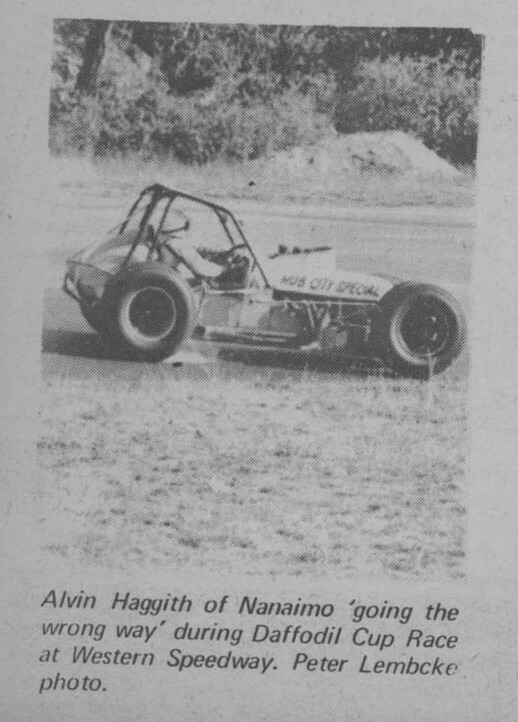 Article from the February 1963 Northwest Rod News. Get a few days to myself and I start going through stuff I've accumulated. Here's the top 12 and a half for the 1959 WARA sprint car season. Sorry about the skewed skan. I'm off kilter these days.